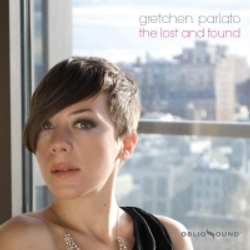 Gretchen Parlato is emerging as the most important jazz singer since Cassandra Wilson. Her vocal approach is so unique and her repertoire so eclectic that she stands to create a jazz vocal genre unto herself. After placing first in the 2004 Thelonious Monk International Jazz Vocals Competition, Parlato released her eponymous debut, self-produced, in 2005. Warmly received, she followed her freshman effort up in 2009 with In a Dream (Obliqsound), her critical gravity growing. And those are just Parlato's recordings as leader. She has been a featured vocalist on many records, including David Binney's Greylen Epicenter (Mythology, 2010) and Esperanza Spalding's Chamber Music Society (Concord Music Group, 2010). Much anticipated, The Lost and Found appears, revealing Parlato's sonic evolution toward an end very different from Wilson's. Where Wilson has intently explored the earthy, organic nature of the music she sings, Parlato has entered the laboratory to distill her music to its bare essence: a whisper, a scent, an echo, a suggestion. Her light, no-pressure approach better reveals the harmonic metaphysics of the songs she sings, whether originals or standards. The Lost and Found draws much from her two previous releases. Parlato's Wayne Shorter fixation that prompted her to include the saxophonist's "Juju/Footprints" medley on her first recording, and "ESP" on In A Dream, reprises "Juju" alone on The Lost and Found. The fondness that Parlato has for impressionistic music manifests itself in her version of Miles Davis/Bill Evans "Blue in Green," and a cover of Simply Red's "Holding Back The Years," rendered as diaphanous mist, Parlato's light voice perfect for the role. The singer's reprise of "Juju," possesses a crystalline translucence, made acute by Dayna Stephens' wandering saxophone and pianist Taylor Eigsti's run-rampant sonic investigations. Her soft voice provides stark contrast to its support, making for an edgy affair all the way around. Lauren Hill's "All That I Can Say," a successful vehicle for Mary J. Blige, proves equally successful for Parlato, who imparts a lighter contemporary vibe to the song. Parlato is a young and vibrant artist, from whom we are only beginning to hear, and whose future is bright, indeed. Track Listing: Holding Back The Years; Winter Wind; How We Love; Juju; Still; Better than; Alo, Alo; Circling; Henya; In a Dream (Remix); All That I Can Say; Me and You; Blue in Green; The Lost and Found; Without a Sound. 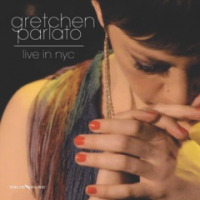 Personnel: Gretchen Parlato: vocals; Taylor Eigsti: piano; Derrick Hodge, Alan Hampton: bass; Kendrick Scott: drums; Dayna Stephens: tenor saxophone.